Warmthru G4 heated glove liners are even more heat than predecessors, G3, which are a little less expensive, and still available on this site! These come now with additional 1.3M Extension Cable to relocate battery in shirt or jacket pocket if preferred (Available on product page or separately in 'Accessories'). NEW. - Carbon Fibre technology - Conductive Heated Fabric. NEW. - Heat in fingers AND thumbs. 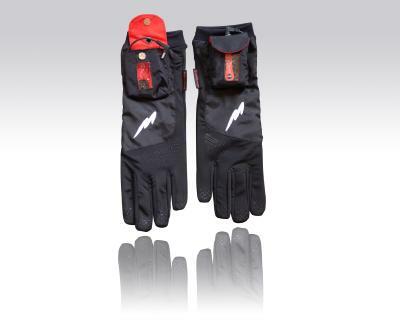 The G4 heated glove liners should be worn with windproof-waterproof Over-gloves. 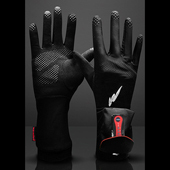 We may supply overgloves, Ski Gloves, with some sizes Free of Charge but stocks are low. - Comes complete with everything you need including battery charger. - Battery pocket on top of hand (Or use Armbands supplied). - Ergonomically re-designed pocket includes transparent strip for easy temperature adjustment. NEW. 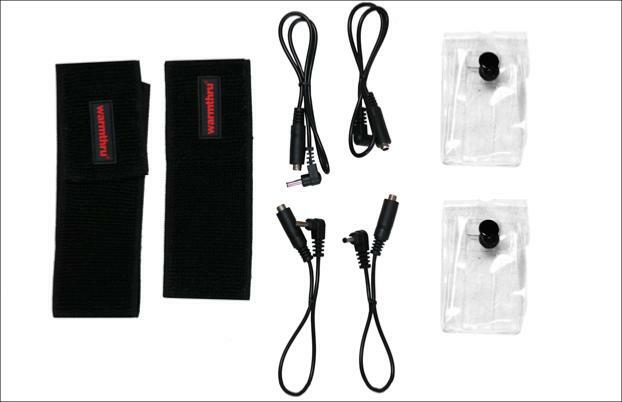 - Armband option (armband, extension cables & pocket supplied free as Standard. 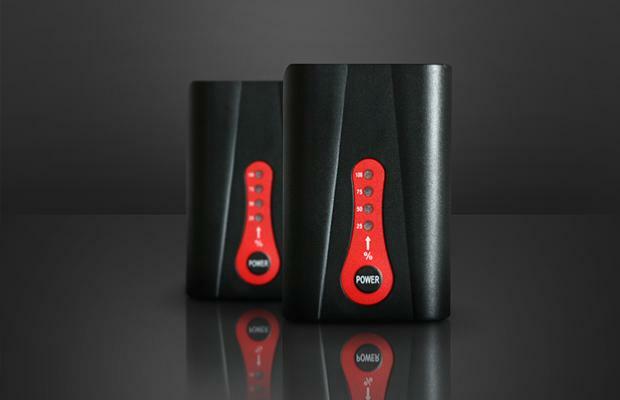 - batteries are povided with heat control & charger. - Easy Dial index finger light fabric permits mobile phone keystrokingNEW. - Sponge lightly to wash- do not tumble. 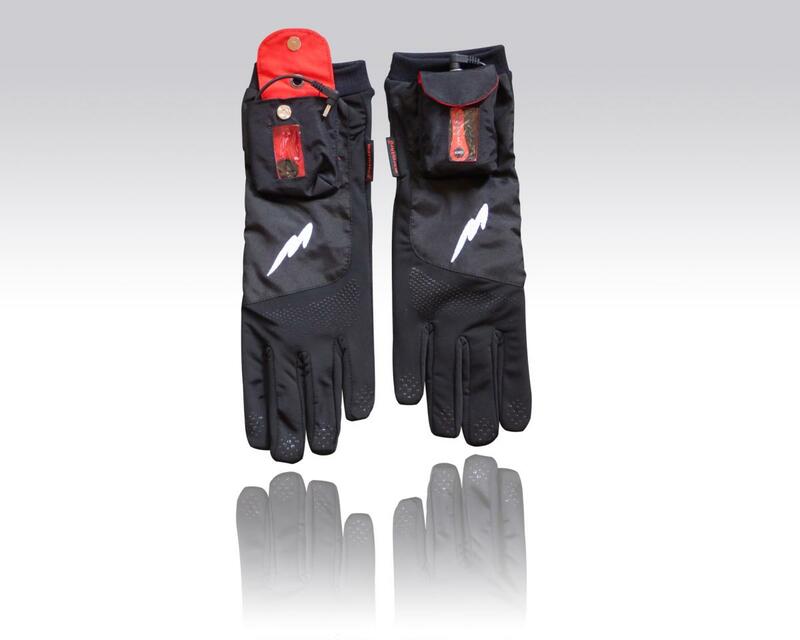 Another key function of of these glove liners is that you can also charge batteries in car using separate accessory (purchase separately or on product page). - 4 sizes- S, M, L, XL. - 5 hours charge time. - Fashionable look and feel. 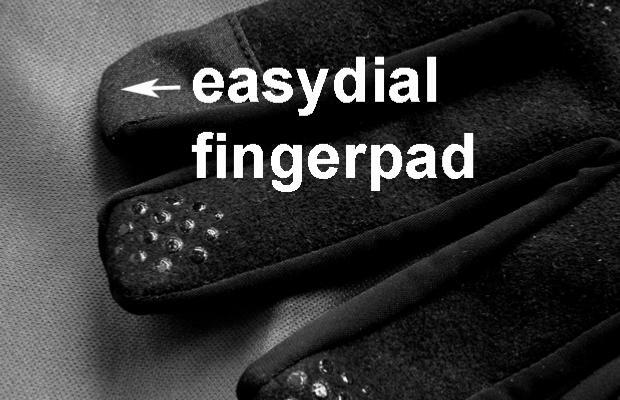 Tiny rubber gel dots on fabric to increase overglove grip. The difference between grey G3 and black G3 or G4 Gloveliners is simple: grey have no battery pocket on top of the hand and rely entirely upon the armband where another battery pocket is housed. The black G3/G4 gloveliners include a pocket on top of the hand, and therefore offer both options. The G4 Gloveliners are the latest model ('G' is for Generation). 1 pair of black G4 Gloveliners. Armbands & Extensions to re-situate batteries on forearm or biceps.